This versatile tweedy looking jacket is at home in the barn or out running errands. 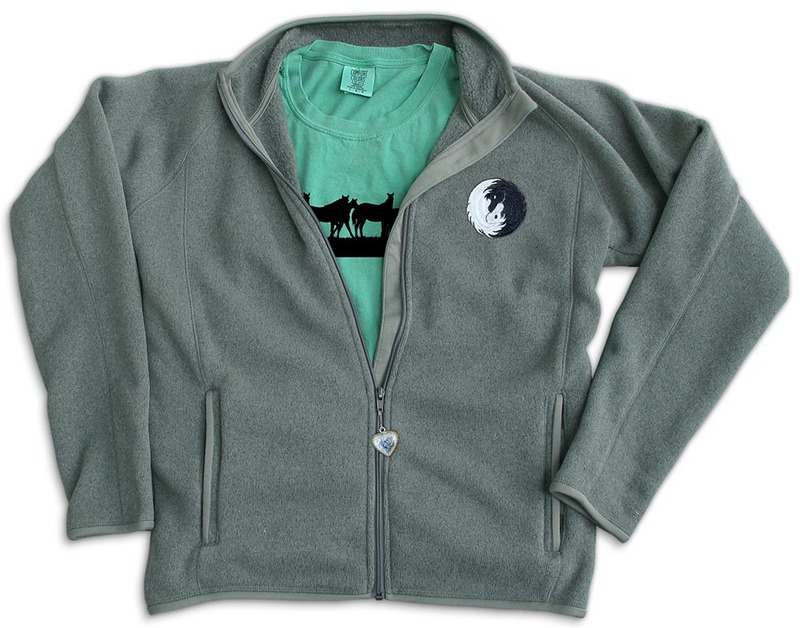 It's made of heavy 11.4 oz polyester fleece, with a sweater-knit face and cushy fleeced interior. It's warm without being bulky. 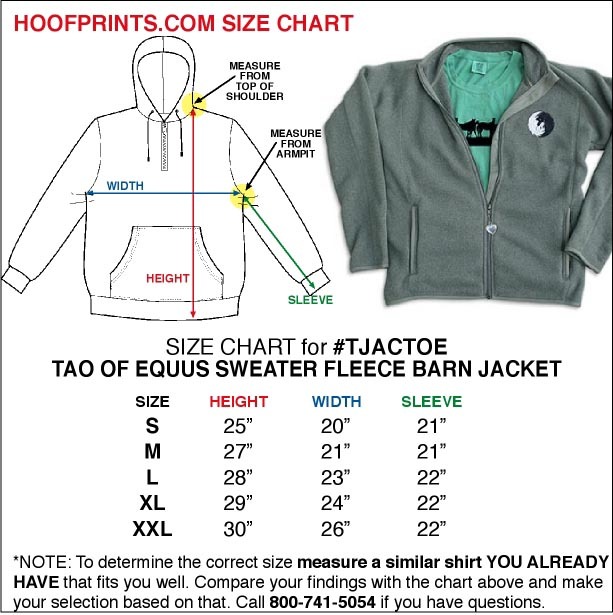 Front is embroidered with Linda Kohanov's Tao of Equus Logo, back has subtle EPONAQUEST embroidery.